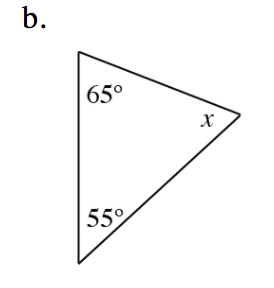 Find the measure of the missing angle in the triangle above. 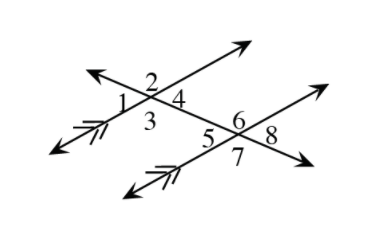 If m∠4 = 61°, find m∠6. 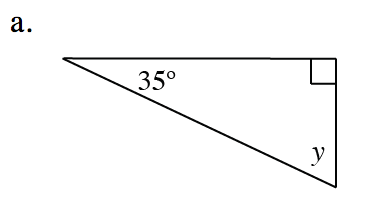 If m∠1 = 48°, find m∠8. If m∠2 = 137°, find m∠8. Tina’s rectangular living room floor measures 15 feet by 18 feet. How many square feet of carpet will Tina need to cover the entire floor? Tina’s rectangular living room floor measures 15 feet by 18 feet. The carpet Tina likes is sold by the square yard. How many square yards will she need? That is, rewrite each equation so that it starts with “y = ”.